It’s of no doubt that VPN apps are essential. In fact, VPNs nowadays were given more priority over Antivirus tools. VPN apps are available on every platform including Android, iOS, Windows, Linux, etc. VPN apps basically encrypt the traffic and redirect it from their own server. By this way, your online data like IP Address and location were never exposed. So, VPN apps are mostly used to protect privacy. Apart from that, VPN apps were also used to unblock geographically restricted sites or services. For example, there are tons of torrent sites available on the internet, but we can only visit some of them due to a certain type of restrictions. So, VPN apps were also used to bypass the restrictions set by the authority. On a desktop computer, unblocking torrent sites is an easy process, thanks to the tons of VPN apps available out there. However, on Android, finding torrent VPN can be quite frustrating. Just search for VPN apps on the Google Play Store, you will come across tons of VPN apps providing robust features, one better than the other. 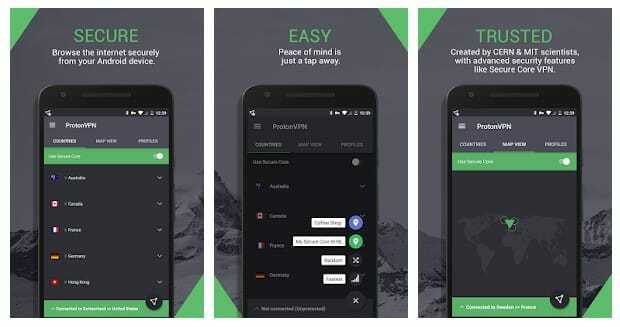 So, to make things easy, we are going to share some of the best torrent VPN apps for Android. These VPNs can keep you safe and anonymous online. 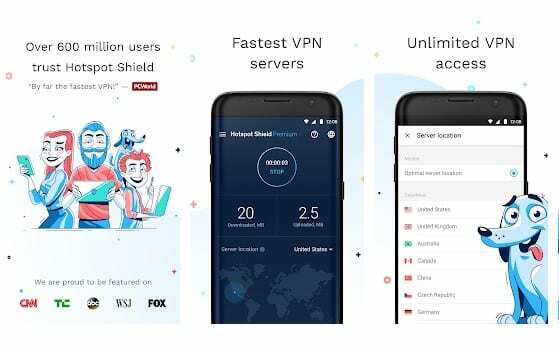 Hotspot Shield VPN & Proxy is one of the best VPN apps that you can ever have on your Android device. The great thing about Hotspot Shield VPN & Proxy is that it provides better download speeds and it has support for 2G and 3G connectivity. Apart from that, the VPN app also allows users to set Firewall Rules. So, its one of the best VPN app that you can use to visit torrent websites. Well, if you are looking for a free VPN app for your Android device, then Betternet might be the best pick for you. The great thing about Betternet is that it doesn’t puts any bandwidth restriction. Apart from that, the app connects you to random servers spread across the globe. So, Betternet is definitely the best Android VPN app that you can use right now. SurfEasy VPN is the third best VPN app on the list that offers users 500MB of free data every month. The servers of SurfEasy VPN is well optimized to provide you better downloading and uploading speed. Apart from that, SurfEasy VPN also allows users to set firewall rules. So, SurfEasy VPN is another best VPN app that you can consider. 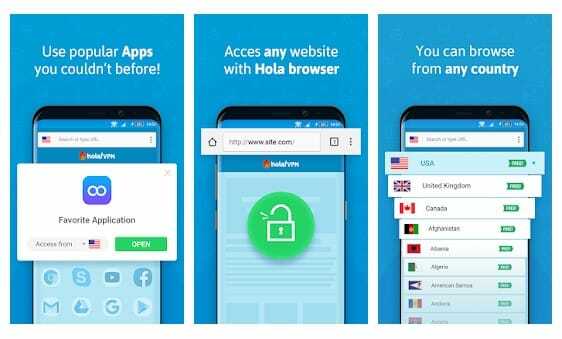 Well, Hola Free VPN is one of the top-rated VPN apps that’s available on almost all major platform including Linux, Windows, iOS, Android, etc. The great thing about Hola Free VPN is that it has pre-built profiles to unblock popular sites. Apart from that, Hola Free VPN can also be used to visit torrent sites that were geographically restricted on your region. 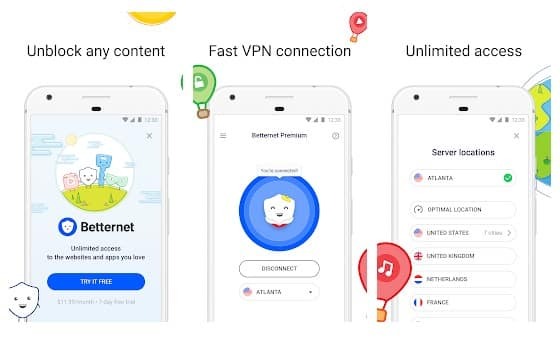 Well, if you are looking for a free VPN app that has military-grade encryption and doesn’t put any restriction on Bandwidth, then Hideman VPN might be the best pick for you. The great thing about Hideman VPN is that it by default block all ads and web trackers which helps to make you anonymous. The VPN app offers lots of high-quality servers which can fulfill your torrenting needs. NordVPN is basically a premium VPN app which is available on almost all major platform including Linux, Android, Windows, MacOS, etc. The best thing about NordVPN is that it provides users tons of IP Address from a different region. It’s one of the best VPN apps that you can use right now and the servers of NordVPN were well optimized. Well, Proton VPN is a new VPN app that’s available on the Google Play Store. The great thing about Proton VPN is that it’s brought to you by the same team who were behind ProtonMail. Proton VPN focuses on security and privacy and it offers users tons of privacy-related features. Apart from masking your IP Address, the VPN app offers a strict no-log policy. So, Proton VPN is one of the best free VPN apps that you can use on your Android. ExpressVPN is another major VPN app on the list which has premium plans. 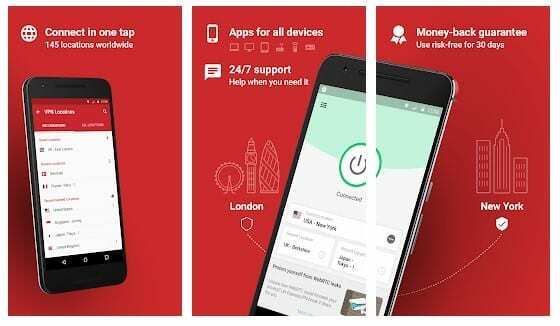 The VPN app doesn’t have any free plan, but you can avail a 7 days trial in which you can access all features of ExpressVPN for free. The great thing about ExpressVPN is that it offers more than 500+ servers. It’s also one of the fastest VPN apps that you can use for your torrenting needs. So, ExpressVPN is another best VPN for torrents that you can use today. VPN by Private Internet Access is another great VPN app on the list which can help you to stay anonymous and secure on the Public WiFi. The great thing about VPN by Private Internet Access is that it hides your IP Address and encrypts your web traffic. It’s one of the most used VPN apps to visit torrent sites. So, VPN by Private Internet Access is another best VPN app which you can use to unblock torrent sites on Android. TunnelBear needs no introduction as its one of the best and popular VPN app that’s available on the Google Play Store. The great thing about TunnelBear is that it’s a free and incredibly simple app that allows users to browse the web anonymously. With TunnelBear, you can access your favorite sites including torrent websites. However, on the free account, users only get 500MB of browsing data every month. 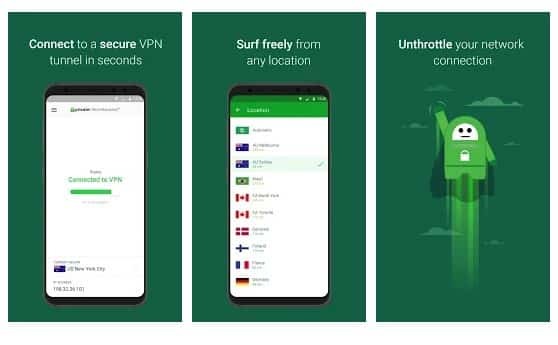 So, these are the 10 best Android VPN apps for Torrent that you can use right now. If you know any other torrent VPN apps for Android, then let us know in the comment box below. 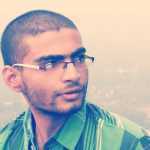 Amarnath Chakraborty is the content writer at Tech Viral. He writes/edits about how-to tips, tutorials especially on Social Networks, Android, iPhone, Computer, Internet etc. ExpressVPN should be ranked higher.